Locating Indian Literature attempts to explore the category of ‘Indian literature’ in relation to emerging discourses of marginality, region, resistance and the role of translation in the making the unmaking of literary traditions, Interrogating theoretical positions that present Indian literature as an essentialist category, it emphasizes the pluralistic and performative elements of Indian literatures. 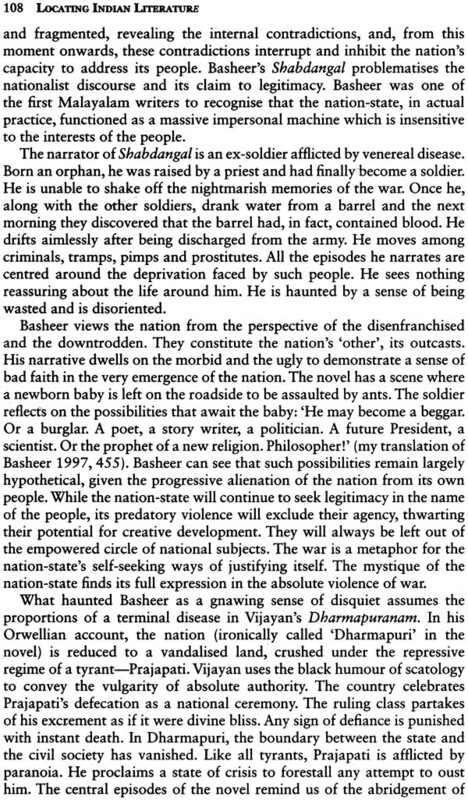 In its first section, E V Ramakrishnan articulates the project of ‘provincialising “Indian literature”’ and explores the dialogic interfaces between the abstractions of law and the evaluative role of criticism. It also interrogates the claims of history and the reticence of memories, and the dialectics between the dialect and the region. 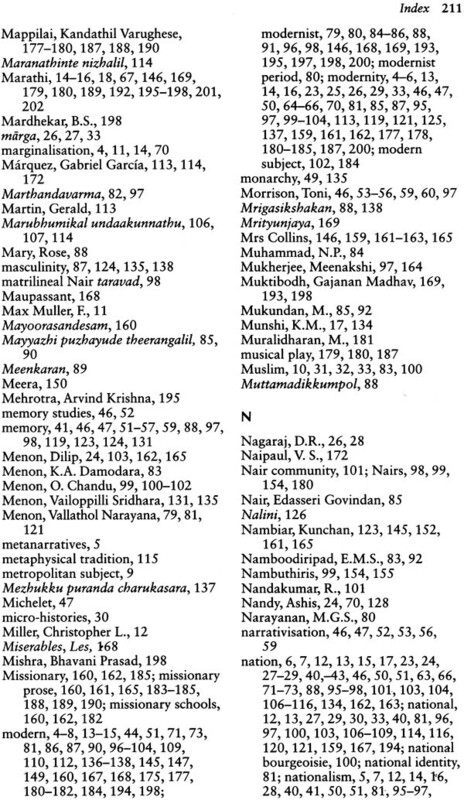 The second section presents readings of Malayalam literary texts that concretise the plurality of literary traditions. The third section argues for a new approach to the study of texts and traditions with translation forming the fulcrum of cultural and political mediations. Interdisciplinary in its approach, the volume will be of relevance to students and scholars in culture studies, social science and humanities. E V Ramakrishnan in Professor of Comparative Literature and Dean in the School of Language, Literature and Culture Studies at Central University of Gujarat, Gandhinagar. A bilingual writer who has published poetry and criticism in Malayalam and English, he is the recipient of Kerala Sahitya Akademi Award for literary criticism (1995). Among his other publications are Making It New: Modernism in Malayalam, Marathi and Hindi Poetry (1995), Terms of Seeing: New and Selected Poems (2006) and The Tree of Tongues: An Anthology of Modern Indian Poetry (1999). 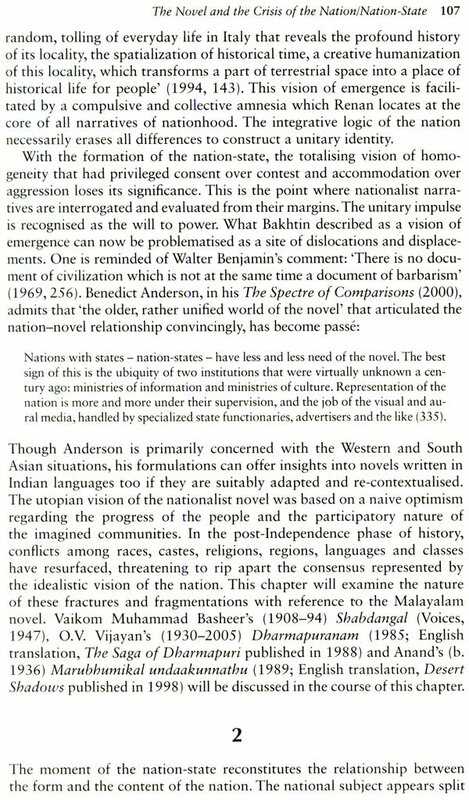 Locating Indian Literature is a volume drawn out of a number of my essays written during the last decade. All of them have been revised and some have been completely rewritten for the present volume. Though not originally intended to be thematically unified, they share certain common concerns that anchor them in the discipline of comparative Indian literature. 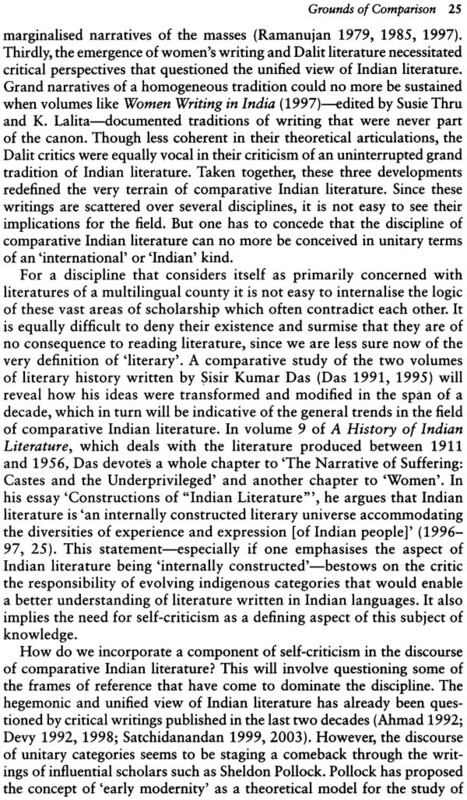 The study of Indian literature is still a marginal area among interdisciplinary studies in India. However, scholars from social sciences have, of late, shown an enhanced interest in this area of study and this has enlarged the scope of the discourse on literary texts from Indian languages. Social scientists brought in new concerns to the reading of literary texts, problematising the idea of 'literariness', revisiting the marginalised literary traditions and forcing us to revise existing canons. 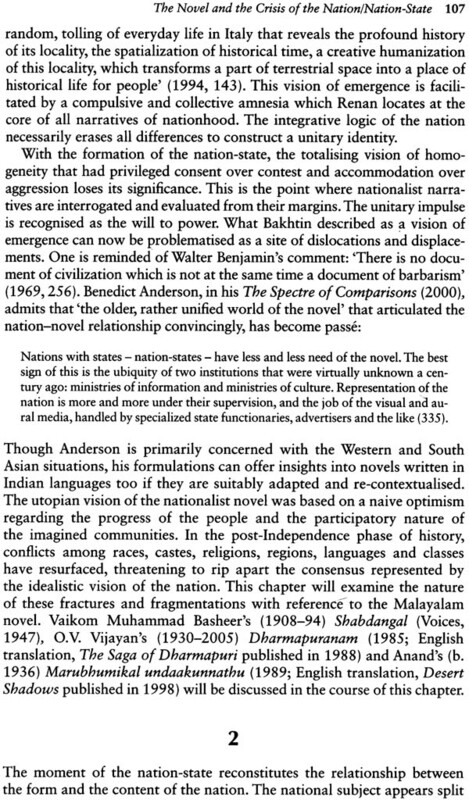 This is the larger background against which Locating Indian Literature has taken its shape. 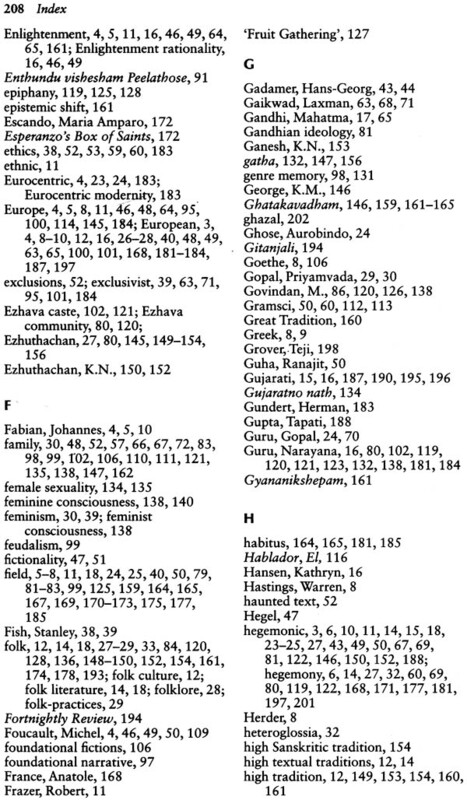 The diversity of literary traditions in India and the dialogic relations among them necessitate a comparative approach to the reading of texts. 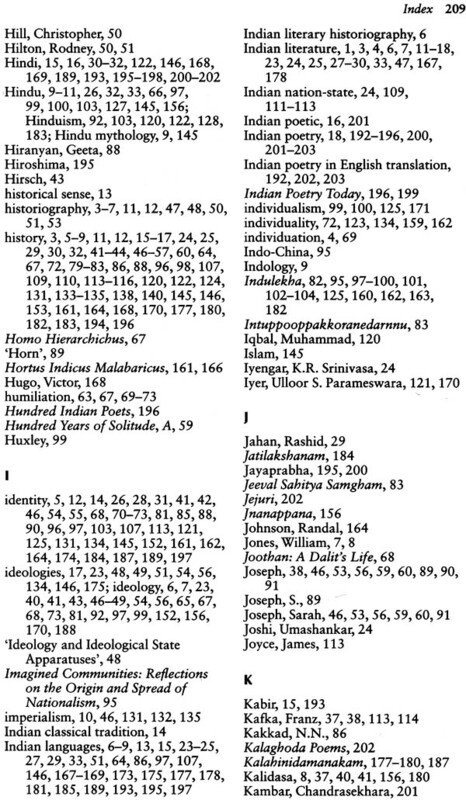 Categories such as caste, gender, class, region, nation and modernity have been productive in providing fresh insights into Indian literary texts. Indian literature is now being constituted into a new 'knowledge subject'. This volume reflects my preoccupation with Indian literatures at various levels. As a bilingual writer, I cannot escape a certain 'double consciousness' that forces me to wear bifocal glasses. 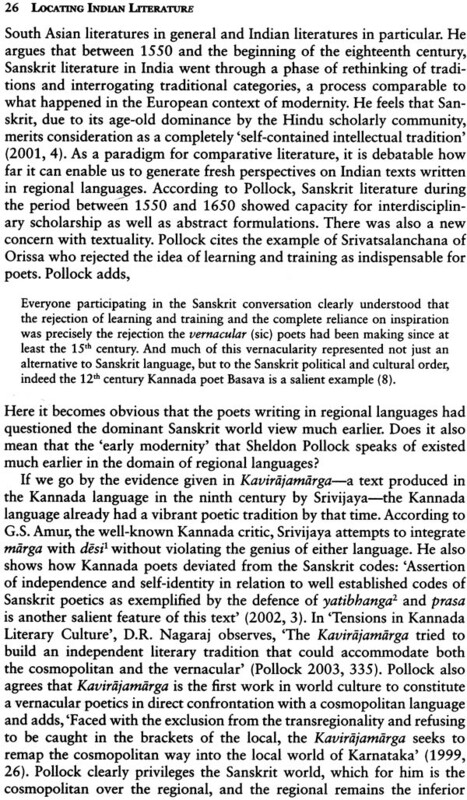 In my earlier book, Making It New: Modernism in Malayalam, Marathi and Hindi Poetry, I traced the shift towards a modernist sensibility in three major literary traditions in India. I focused on convergences and parallels, relating individual texts to certain thematic clusters. My preoccupation with multiple Indian traditions continues in Locating Indian Literature but the emphasis is not on parallels and correspondences alone. 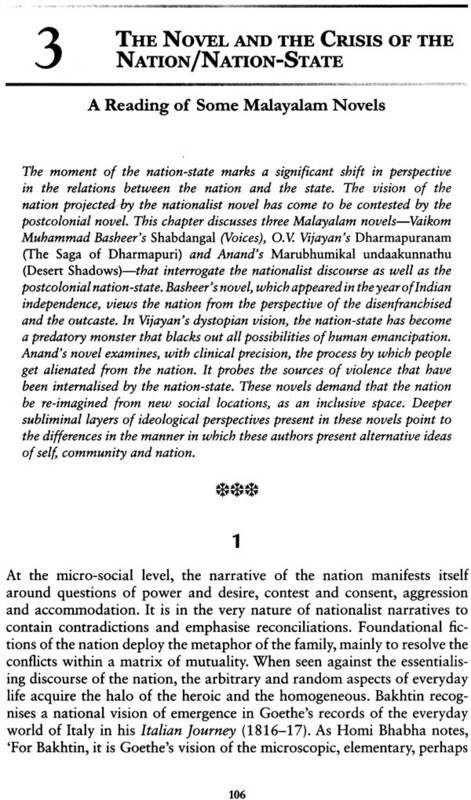 I have attempted to address the larger question of the location of ' Indian literature' against the conflicting narratives in the reading of Indian literature-narratives of the pedagogic and the performative, the sublime and the subaltern, and the mainstream and the margins. Since essentialist positions on 'Indian' and 'literature' can no more be held with conviction, we need to conceive 'Indian literature' as a translational and dialogic domain where texts are in turmoil and traditions are routinely ransacked and remade. I have used the term 'tradition' in the plural to suggest a site of contestations and contradictions. The 1990s marked the high-water mark of 'theory' that has left in its wake a litter of jargon but on the positive side, a healthy scepticism about the 'essentialist' and 'constructed' nature of disciplinary categories and social phenomena. However, in retrospect, one may note that it was the surge in Dalit writing, re-orientations in women's writing, the rise of environmental issues in literature and a redefinition of the category of 'the political' that made a difference to the study of 'literature' as a discipline. The emergence of translation studies as an area of interdisciplinary study has further accelerated the process of self-criticism in the domain of the 'literary'. The question of the location of 'Indian literature' has to be related to this 'ethical turn' in the study of literature. The domain of the aesthetic, we know now, is not devoid of its political compulsions. They are masked by the mystique of the universal for which 'literature' becomes a synonym. Ethical issues related to the memories of the oppressed, the sanitised notions of the nation-state and the erasure of dissent, have assumed an urgency in the present that cannot be neglected in the discussion of culture. The role of aesthetics in mystifying the dominant ideologies needs to be examined through cultural texts. Though I do not claim that I have successfully attempted such an enquiry in this volume, I would like to state that these are some of the concerns that have exercised my mind while writing it. The first chapter of this volume maps the larger perspective and is intended as an introduction to the chapters that follow. We cannot dispense with the Western context/content of our modernity. At the same time, we cannot understand literary productions in Indian society in relation to Western categories alone. 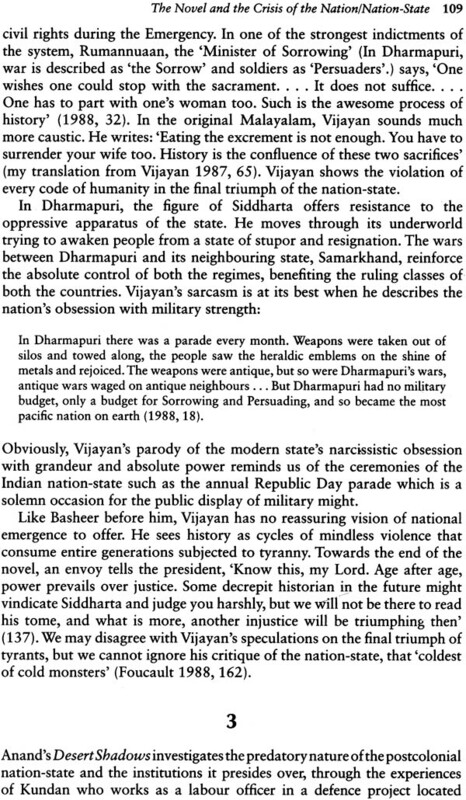 This vexed situation is what I sum up in the term 'provincialising Indian literature'. Dipesh Chakrabarty identifies a similar problematic in the study of social sciences in India. Our discourse of history was largely a legacy from the West. This is also true of all modern literary forms that emerged in India in the wake of the colonial encounter, such as the novel, the essay, the lyric, the modern proscenium play, the travelogue and the short story. They answered a need in the native social context but their modes and models came from outside. This is why we cannot interpret literary productions in Indian languages in terms of indigenous categories alone. It appears a near impossible task to evolve an Indian critical method uncontaminated by Western influence. To understand the nature of our modernity we need to revisit these sites where literary forms and social formations inform each other. Literature, as a social institution, has always been mediated by several power structures in society. As mentioned above, developments in theory during the last three decades have played a vital role in bringing out the links between literary texts and the ideological positions implicit in their forms and content. I have been influenced by several theoretical approaches and have used their insights in the close readings I offer in this volume. This eclecticism is not a deliberate strategy but has evolved out of the need to deal with texts that have originated in a variety of sociopolitical contexts that show diverse influences. Given the complex linguistic situation in India, it is impossible for a single critic to master even two or three literary traditions. 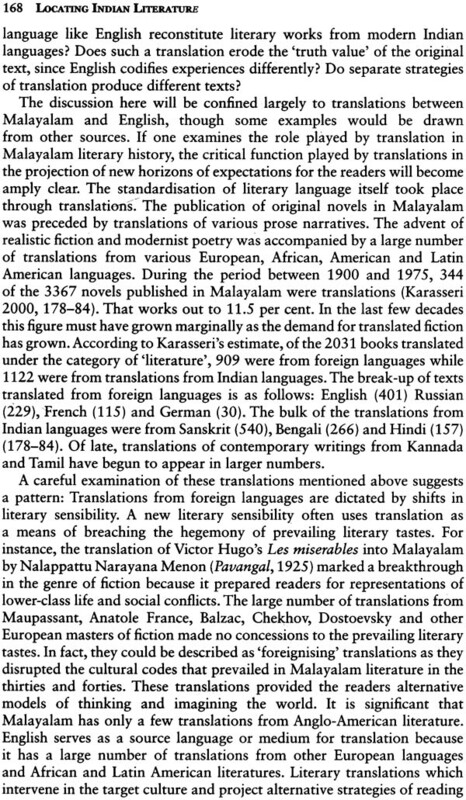 My training in Malayalam literature has enabled me to develop comparative perspectives on literary traditions from other languages. I do not see this as a limitation. A critic rooted in a particular Indian language is bound to have access to its interiors intractable for an outsider, and this allows him to comprehend how literary texts 'textualise' a living culture. 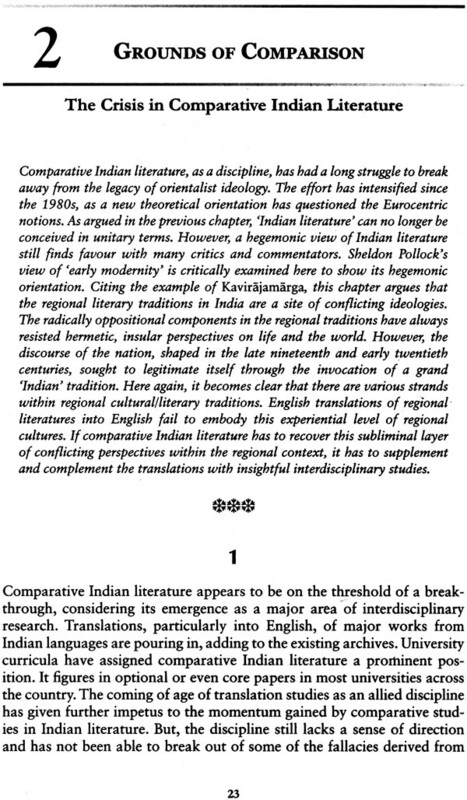 It is also true that the study of a single literary tradition in India may necessitate a comparative perspective. Bhakti poetry or modernist poetry in a language may not be accessible to an approach based on a single literary tradition. 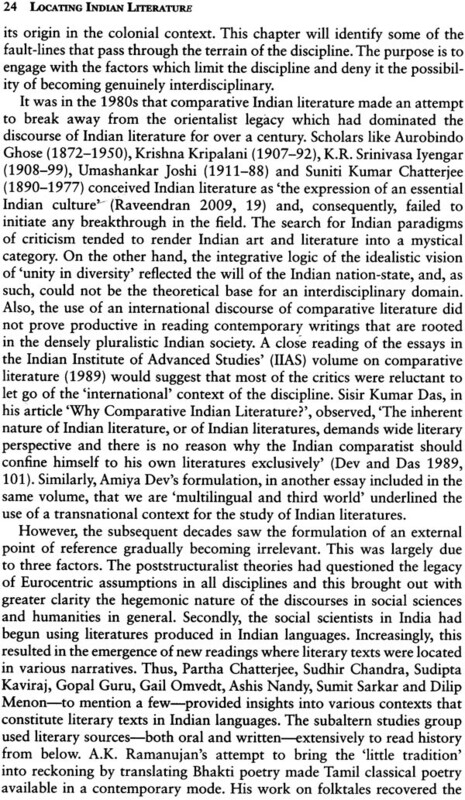 In the chapter 'Crisis in Comparative Indian Literature', I have argued that an Indian language often carries multiple traditions within. They have internal contradictions that become intelligible only in a comparative context. 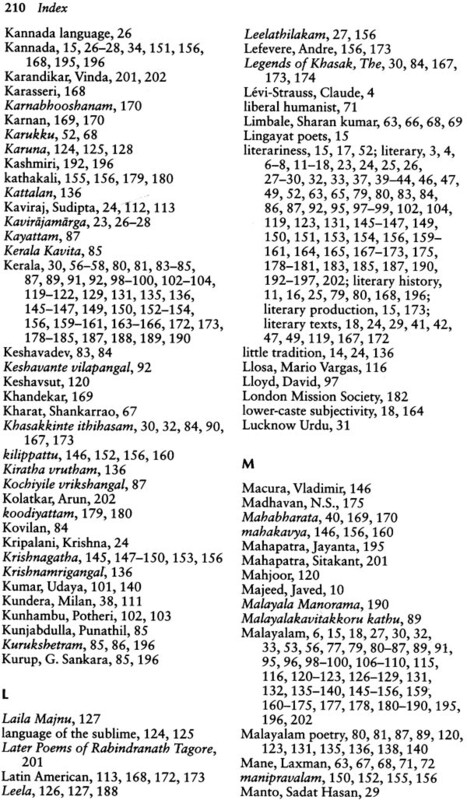 My readings in Malayalam literature, presented in Section 2 of this volume, have been informed by my understanding of other Indian literary traditions. 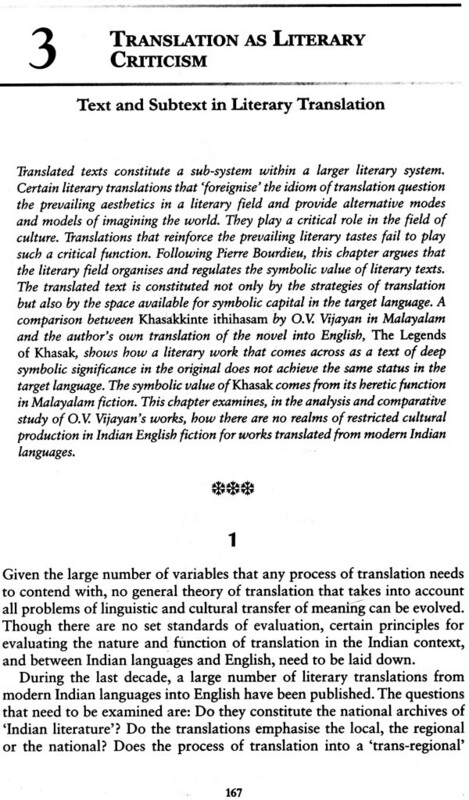 Translation is implicit in the Indian context and my writings in this area have grown out of the need to understand the field of translation as an archive of 'comparative Indian literature'. 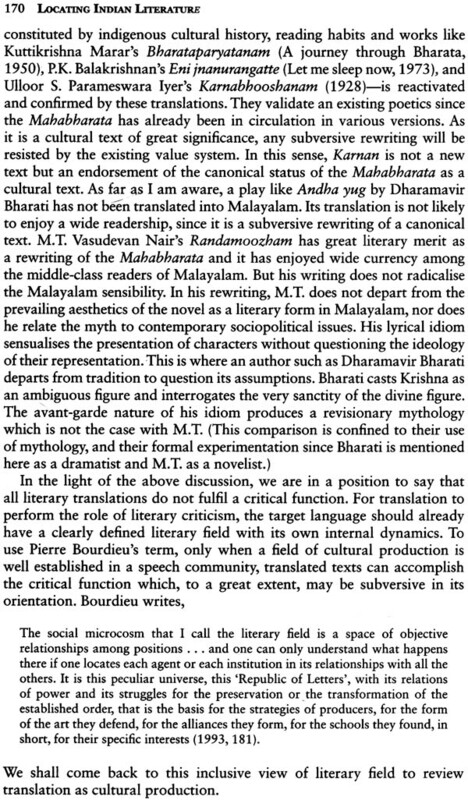 I have found it necessary to explore the linkages between translation and the development of new sensibilities at different stages in the history of Malayalam literature. Literary histories of Indian languages never acknowledge the role of translations. The chapters in Section 3 argue for a literary history where distinctions between the 'original' and the 'translation' should not be seen as absolute. 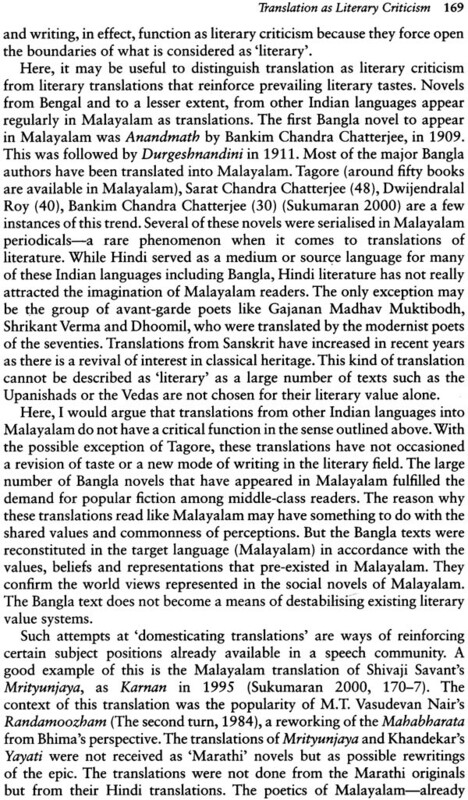 Though my focus is on Malayalam literature, some of the findings may have relevance for other literatures as well.